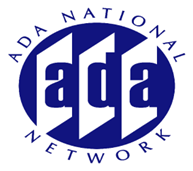 The Americans with Disabilities Act (ADA) and Section 504 of the Rehabilitation Act require colleges and universities to provide accommodations and academic adjustments for students with disabilities. This session will look at how students participating in medical and health science programs are provided with accommodations for classroom and clinical settings. The presenter will examine issues of undue burden and fundamental alterations to programs. Topics to be discussed will include, course attendance requirements, documentation, adjustments to course work, modifications at clinical settings and resources for colleges and universities to serve students with disabilities. Participants will have an opportunity to ask questions of the presenter following the presentation.